This luxury estate is truly a dream come true in a perfect location! 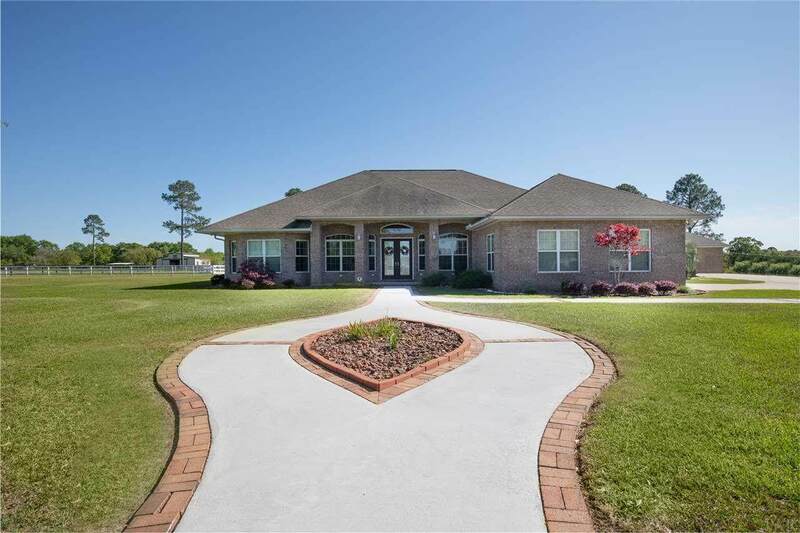 This property blends a very upscale home exterior and sophisticated technology with equestrian life. 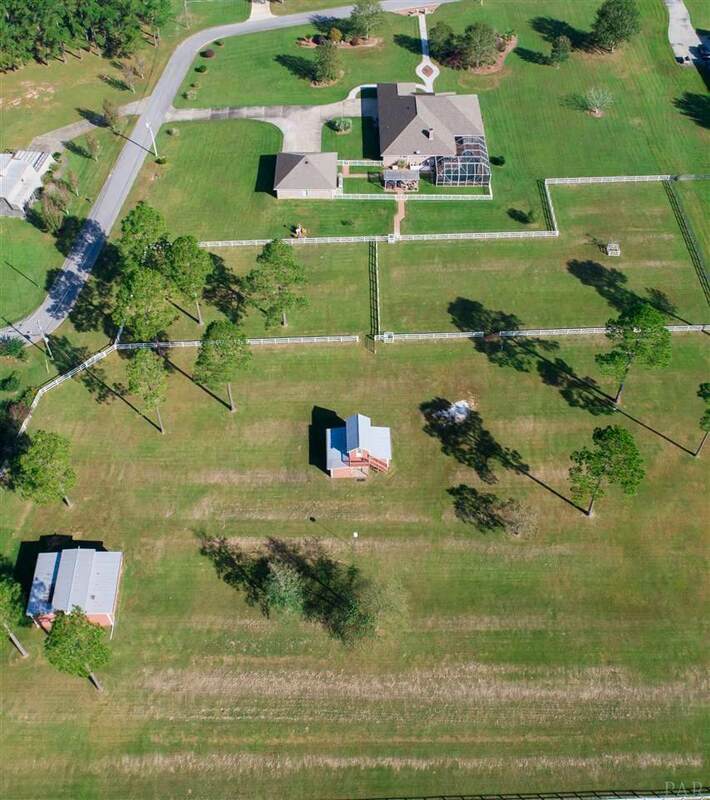 Wait until you see the six manicured acres of land sculpted into three large pastures, running white fences, a four-stall barn and a garage/ barn in two of the 3 pastures with loft space in both barns. The property is exceptional in so many and unexpected ways! Looking from the foyer, you see the high-ceilings and the dramatic open floor plan that includes the living, dining, kitchen and adjacent sitting area. The chefs kitchen includes custom cabinetry, commercial grade appliances, beautiful granite countertops, a large kitchen island with bar seating, pantry, and pendant lighting. This dining area can easily accommodate an 8 table. Sets of sliding doors view and access the screen enclosed salt water pool and outdoor kitchen. The office has custom built-in bookshelves with attached desk, as well as hardwood flooring and glass etched double entry doors. 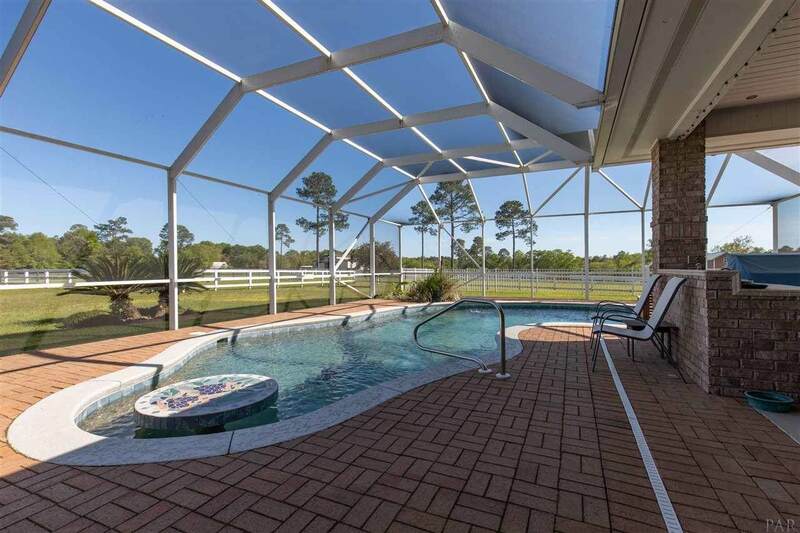 The large master suite views the pastures and a glass door that opens to the pool area. This bedroom includes 2 custom walk in closets, and spa sized space with custom tiled Jacuzzi tub, oversized tiled shower and large double vanity, granite topped. All bedrooms are on the main level and the two additional bedrooms have en suite full baths and are generous in size. Just off the kitchen, the huge laundry/utility room has tons of storage space and is reinforced as a safe room. Upstairs, the bonus room is spacious and complete with built-in bar, sink, refrigerator, and wired for entertaining. A perfect media room! Outside, close to the pergola, firepit and hot tub, view a 30x30 detached garage and man cave/bedroom? with wood laminate flooring, tongue and groove ceilings, a full bath and two work areas. Security system? Oh yes, 16 Camera Honeywell Home Security in place. The only way to appreciate this spectacular home and land is to come see it!